The NYPD has come a long way in the last couple of years, keeping crime down and working to improve community relations. The department is also on the cutting edge of new policing strategies. Street Soldiers was granted exclusive access to the NYPD’s behind-the-scenes operations. I hit the streets and joined them on patrol. The threat of a terror attack remains the No. 1 public safety issue for the city. Counterterrorism Chief James Waters told me they consider every possibility: homegrown extremists who self-radicalize, those who travel to a foreign country, and more. 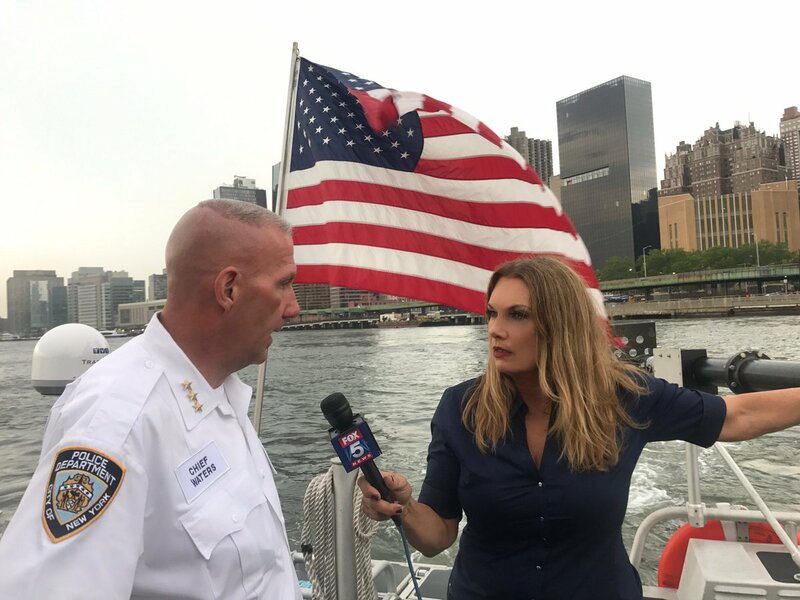 Waters took us out with the Harbor Unit to see how technology is adding to their vigilance, especially for major security challenges such as the U.N. General Assembly, which brings more than 200 world leaders including the president to the city. After the NYPD was given a mandate to retrain police officers and rebuild trust with the community, body cameras were introduced. The body-camera training also includes crisis intervention sessions and clear guidelines about when to record. With fatal drug overdoses taking the lives of one New Yorker every six hours, the NYPD created the Bronx overdose squad using a new first responder and investigative model. We were the first crew allowed on patrol with them. Det. Tina Guerrero of the NYPD’s elite Emergency Service Unit is a trailblazer taking aim at gender stereotypes. The 5-feet, 1-inch married mother of three is the department’s only female counter-sniper. She talked about balancing her job and her family life. We got an exclusive look inside the largest DNA crime lab in North America. It is at the New York City’s Office of the Chief Medical Examiner in Manhattan. In this dry, sterile facility with purified air pumped in, the scientists handle more than 14,000 cases a year—everything from muggings to murders to mass casualty tragedies.